The bottle's not messing around with this "pampering" promise, and the lotion forms a silky, protective barrier on your skin immediately after you smooth it on. And, oh, the fragrance! It's glossy and chewy with just a smidge of powdery softness, appropriate since your skin will be so soft also. The rose is thorny, buttery, garden fresh, and paired with some greener plants that make the bouquet bright and clean but not soapy, refreshing but still comforting, and long-lasting in both function and fragrance (but the latter is subtle enough to not compete too much with your perfume). It leaves skin absurdly soft even through the especially vigorous hand-washings flu season inspires. Related encouragement: Fear not rose! Many Americans seem unnecessarily wary of rose, and I get the sense that the aversion was formed at an early age, against dusty little guest soaps still in their faded tissue-paper wrappers. Try again! Let rose-gurus Katie Puckrik ("Wearing [Un Rose] makes me feel like a baby bee crawling around in the most enormous, lascivious, skyscraper rose to ever bloom.") and Elisa Gabbert ("Over time [Rossy de Palma] gets slightly sweeter, but continues to smell gleamy and green and squeaky clean without resorting to soapy or laundry musk notes, and the crispness keeps it unisex.") 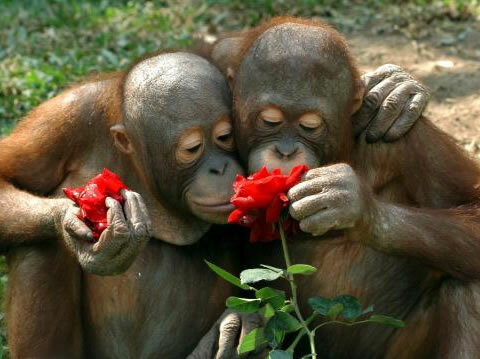 nudge you along, and open your nose to rose paired with incense, leather, musk, and wood. By any of its names, and not always sweet. This sounds great! It will be mine, oh yes, it will be mine. I think you'll love it, Elisa. My arms are soft as apricots! 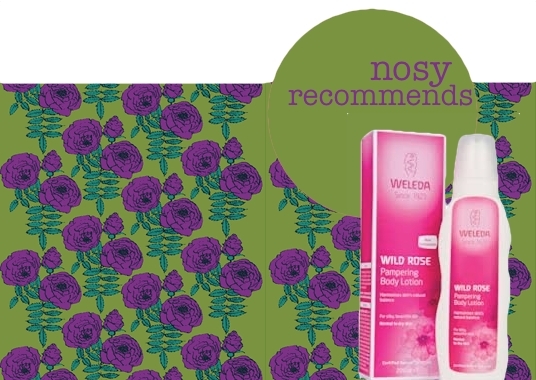 I'm a big fan of Weleda products, but have not tried this one. I shall remedy that at the earliest opportunity, especially because my skin is so dry I can hear it crackle when I rub it. I'm a fan as well, Preets, though I must say this is their best rose yet. I sometimes use the wild rose night (face) cream (&, if I recall correctly, and not to out your deodorant preferences against your will, I think we both have one of the spray deodorants?) and while I like it very much, its fragrance doesn't delight me to the degree that this new one does. You are going to be so soft! Goodbye crackle! This lotion inspires too many exclamation points! Oh nice.I have liked this product.and I know a better site whose made different type body lotion, body butter, shop, etc. I will definitely try this! Its ingredients are unique. Based on its composition I don't think the market has anything that can match this lotion. I also prefer natural oil for my skin. I don't like using manufactured stuff on myself, even if they claim that its all natural. The fact that it comes from the factory, means that it has undergone a manufacturing process.